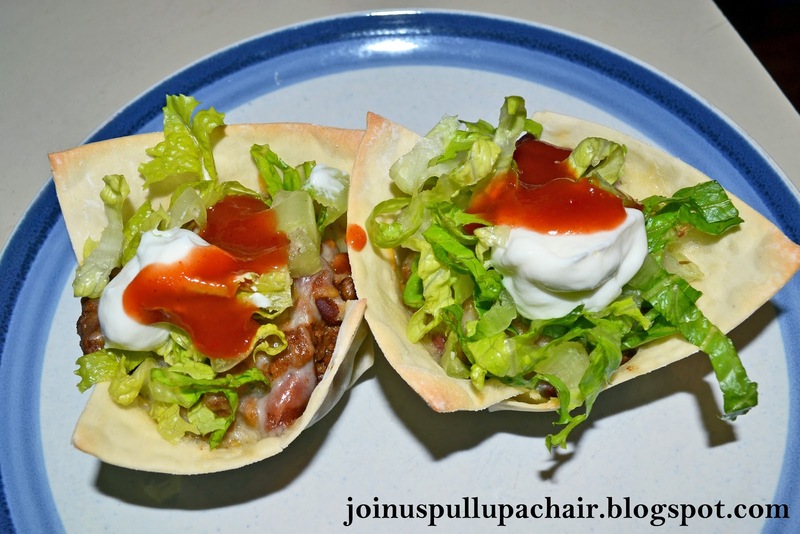 We’re all big fans of tacos so I knew this recipe would be a hit! My friend Shannon mentioned these when I was staying at her house a couple weeks ago with some other friends before a 5K in Philly in honor of Dan. Preheat oven to 350 degrees. Brown beef and drain any grease. Mix the taco seasonings into the cooked beef as directed on the package. Add the beans and stir to combine. Spray the cups of a muffin tin with nonstick cooking spray. Line each cup with two wonton wrappers. Add one scoop of taco/bean mixture. Sprinkle cheese on top of each cup. Bake for 15-20 minutes or until cheese is melted and wontons are crispy and golden brown. These look really good. Love the wonton wrapper idea. We have a link party called Wednesdays Adorned From Above Blog Hop and would love to have you share this and any other posts with everyone. It runs from Tuesday night through midnight Sunday. Here is the link to the party.